For most people, the term “root canal” sparks fear and anxiety. If you have an infected tooth that needs saving, there is no need to fear getting a root canal. For most people, the term “root canal” sparks fear and anxiety. If you have an infected tooth that needs saving, there is no need to fear getting a root canal. Far too many people believe the common misconceptions about root canal procedures. Modern root canals have been performed for decades, and are completely safe and painless procedures. A root canal is a treatment that involves removing the damaged area of the tooth (the pulp), cleaning and disinfecting it, and then filling and sealing it. The common causes affecting the pulp are a cracked tooth, a deep cavity, or dental trauma. In fact, if you need a root canal, you are likely suffering from intense pain, and this procedure is designed to alleviate that pain. This is the most common misconception surrounding root canals because the pain comes from the infected tooth, not the procedure. Root canal procedures usually have the same discomfort level as getting a tooth filled. Today’s advanced technology and anesthetics allows patients to undergo root canals without discomfort. 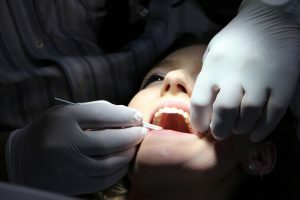 Recovery usually involves immediate relief from tooth pain, and in rare cases a patient will experiences some soreness. Root canals eliminate pain, not cause it. Many people incorrectly assume that it is better to have an infected tooth removed than saved. Teeth should never be pulled if they can be saved through a root canal or other treatment. Saving a natural tooth will help prevent additional tooth loss and save you from future expensive treatments like dental implants. A root canal removes the infected nerves and blood vessels in the inner chamber of the tooth, which serve no functional purpose to your tooth. The nerves exist inside your tooth to operate as warning mechanism to tell you when the tooth is in danger from decay, infection, or trauma. Therefore, root canals do not compromise the integrity of your actual tooth in any way. After receiving a root canal, a tooth will function like a normal, healthy tooth. If you experience a severe toothache or suspect you have an infected tooth, be sure to give your Longmeadow Family dentist a call. Schedule an appointment today to keep your smile and oral health in tiptop shape.